How Does Electrocution Kill You? Power is everywhere in the modern world, and installations are present everywhere we turn. 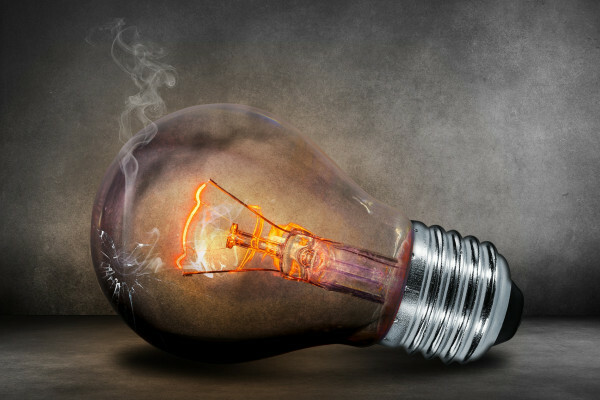 While that means electricity is at our fingertips at all times, it also means individuals are injured and killed in electrocution accidents. In fact, it's estimated that electric shocks account for at least 300 deaths per year in the US workforce alone. Electrocution is a sudden and involuntary introduction of large and/or continuous amount of electricity into the human body. The word “electrocution” is derived from “electro” and “execution” and was coined by US newspapers as a result of the first electric chair used in 1890. Since no English word was available for non-judicial deaths due to electric shock, the word "electrocution" ultimately took over as a description of all circumstances of electrical death from the new commercial electricity. Before the introduction of the electric chair, there had been numerous accidental deaths from electric shock, but it wasn’t until 1879, that the first accidental death by electricity (besides lighting strikes) was recorded – when a French stage carpenter in Lyon touched a 250-volt wire. Today, electrical hazards cause more than 300 deaths and 4,000 injuries in the U.S. workforce alone. The Occupational Safety and Health Administration (OSHA), estimates approximately one fatality per day as a result of electrocution. And the National Institute for Occupational Safety and Health (NIOSH) names electrocution as the third-leading cause of death at work amongst 16 and 17 year old workers (accounting for 12% of all workplace deaths). But the general public and even pets need to be aware of the potential dangers surrounding them. It’s also estimated that there are more than 30,000 nonfatal electrical shock accidents annually, with some accidents going unreported. Between 2003 and 2014, fourteen deaths were registered in swimming pool electrocutions, and between 2012 and 2016, eight deaths were registered in lake electrocutions. We know that a 3-volt battery is safe, but outlets are dangerous enough that they should be covered in order to protect small children. We also know not to use a hair dryer in the bathtub. But why? Why is water dangerous around electricity? And how does electricity actually kill you? Volts and amperes (amps) are words used to explain the most basic electrical phenomena in our everyday surroundings. Amperage (A) is a measure of current flow, for example, what number of electrons flow through something every second. One amp is approximately 6 million trillion electrons in a second. This flow of electrons is what causes tissue or nervous system damage. Each one of those electrons going through a body either heat and burn tissues or obstruct fundamental electrical signs, for example, those that cause a heart to beat. The latter phenomenon is the reason an electric shock over a specific amperage will make your muscles tighten and make letting go of the current source unfeasible. Being unable to let go of the current source due to a live wire is known as a tetanic contraction. Voltage (V) is a force from an electrical circuit’s power source that pushes charged electrons (current) through a conducting loop. A quick comparison is that current resembles water atoms, and voltage resembles a slope. The more extreme the slant, the more the water wants to flow down. When there is no voltage between the two it resembles a plateau and, thus, there is no current flow. An object's electrical resistance (measured in ohms) restricts the amount of current that any voltage can drive through it. The more grounded the resistance, the more voltage you have to push a similar measure of current. The body's normal resistance is its guard against electricity. Internal tissue has a low resistance in comparison to the skin. Consequently, a shock is not as big of an issue, but once it gets to the skin, the rest of the body is vulnerable. That clarifies why a 3-volt battery is safe, yet the electrical chair is lethal. Dry skin is far more resistant than wet or damaged skin. That is why it can be fatal to drop an electrical appliance into the bathtub. You are one hundred times more likely to be killed if you drop a 120-volt hair dryer in the bathtub than grabbing the end units of a 12-volt car battery with dry hands. But either way, always steer clear of doing either. Alternating current (AC) and direct current (DC) also come into play. A constant voltage between two points can drive a current that does not diverge (DC). On the other hand, a fluctuating voltage drives an alternating current (AC), in which electrons are actually being spit out of an electrical outlet and then sucked back into it roughly 60 times per second. The oscillation rate of 60 Hz makes these currents particularly suitable to jumble up the nerves that control the heartbeat. This can cause the heart to beat erratically and lead to death. The heart is the most susceptible organ to electrical injury. If you are interested in reading more, several mechanisms of death from electric injury, include: ventricular fibrillation, bradycardia, respiratory arrest, hyperthermia, fluid loss, metabolic acidosis, direct injury to vital structures, burns, blasts and explosions, secondary trauma, and sepsis. That makes AC wall current a big threat to humans, yet direct current is only dangerous as the voltage and current levels increase. Even though the warning adverts read, “Danger! High Voltage”, it’s the amperage traveling through the body that kills you. Even though the amps needed to kill you vary, any electrical device used on a home wiring circuit can, under several aspects, transmit a fatal current. Know that any amount of current over 10 milliamps (0.01 amp) is capable of producing painful to severe shock, and currents between 100 and 200 mA (0.1 to 0.2 amp) are fatal. Finally, these are just some basic guidelines. The truth is, electrical current enters the body at the point of contact with the power source, usually a hand or the head, and it travels through the body until it exits at the nearest point of ground, generally taking the most direct route. A person can be electrocuted either by direct contact (such as by a power line), or indirectly (i.e. using the power line example, by touching something the power line contacts). A smaller current can kill an individual if it flows directly through the heart or central nervous system. If the current is strong enough, it can also kill the individual simply by cooking the insides. And a lightning bolt could hit an individual, but, instead of passing through the inside of the body, find the easiest path to travel through the skin and result only in burns. Next Should Carbohydrate Tolerance Determine Our Diet? This article is highly plagiarized from a "Real Clear Science" article by Tom Hartsfield. Thank you for letting us know about this; we will follow up with the author who wrote this to investigate.